On Wednesday 7 November 2018, BBC Studios will stage BBC Children in Need Rocks 2018, an unmissable concert taking place at The SSE Arena, Wembley, featuring a glittering line-up of some of the biggest names in music. They will be performing current tracks as well as a surprising cover or one of their classic hits. The spectacular show is in aid of BBC Children in Need and tickets are available now. The concert, produced by BBC Studios, will be hosted by Fearne Cotton and Clara Amfo whilst stars George Ezra, Jess Glynne, Nile Rodgers & CHIC, Olly Murs, Rita Ora, Sir Rod Stewart (and more names to be announced) will perform to thousands in the arena and millions at home when the show is broadcast at a later date on BBC One. 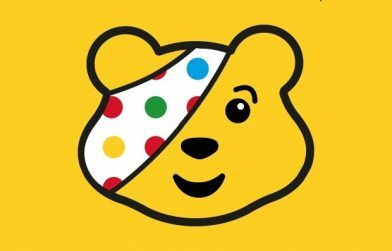 BBC Children in Need is currently supporting 2,700 projects in communities across the UK that are helping children and young people facing a range of disadvantages such as living in poverty, being disabled or ill, or experiencing distress, neglect or trauma. A number of films which share just some of the stories from children and young people who are supported by projects funded by BBC Children in Need will feature in the broadcast. Viewers of the show will be invited to donate to help raise money for the charity and all proceeds after costs will benefit BBC Children in Need. Tickets are now on sale via www.bbc.co.uk/Pudsey and are priced from £25 each. BBC Children in Need Rocks is a BBC Studios production, executive produced by Suzy Lamb, Managing Director, Entertainment and Music, commissioned by Kate Phillips, Controller, BBC Entertainment and Rachel Ashdown, Commissioning Editor, BBC Entertainment and series produced by Cerrie Frost.